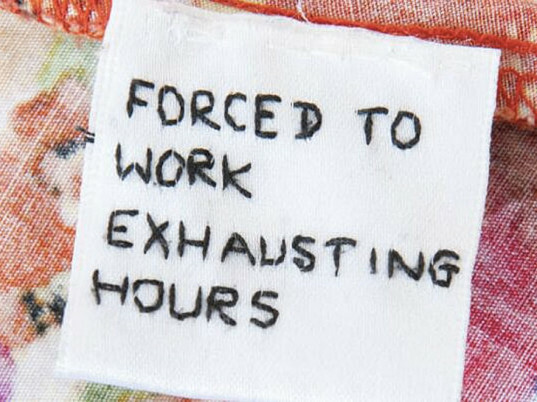 This isn’t the first time alleged sweatshop workers have used merchandise to communicate their distress. In 2012, a woman found in her Saks Fifth Avenue shopping carrier a note from a man who said he was forced to work 13-hour days at a Chinese prison factory to make the bags. 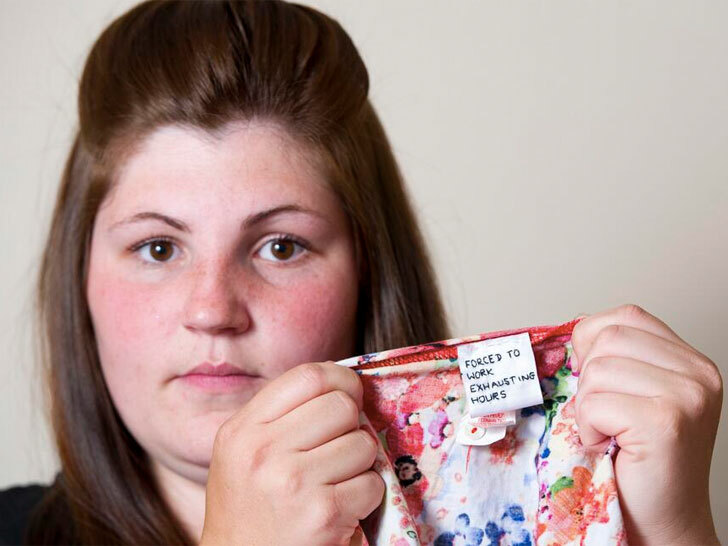 A Primark shopper got more than she bargained after discovering a "cry for help" sewn into the lining of her cut-price dress. Rebecca Gallagher from Swansea, Wales, was searching her �10 buy for washing instructions when she found a label bearing the hand-embroidered words, �Forced to work exhausting hours." Gallagher believes that a garment worker stitched the message in a fit of desperation. "I've got no idea who put it there but it really took the wind out of my sails," she told the South Wales Evening Post. "It makes me think that it was a cry for help�to let us people in Britain know what is going on."